MACH Engineering, LLC is a design and manufacturing company, offering process simulation, vessel fabrication, packing, internals and various other mass transfer products. MACH Engineering has built a reputation for energy, innovation and quality. Our diverse customer base includes large corporations as well as local plants and fabricators. From technical support to customer service, our goal is to offer quality products that guarantee customer satisfaction. Our efforts are dedicated to providing high-quality, competitively priced products that satisfy the requirements of our customers. The Process Engineering Department at MACH recognizes the importance of establishing a solid process design basis from which to develop a successful project. Our process department engineers successfully combine their hands-on experience with today’s newest technologies to provide flexible, practical designs that easily adjust to industry standards. MACH provides quality-engineering design, equipments and services for air and water pollution control. 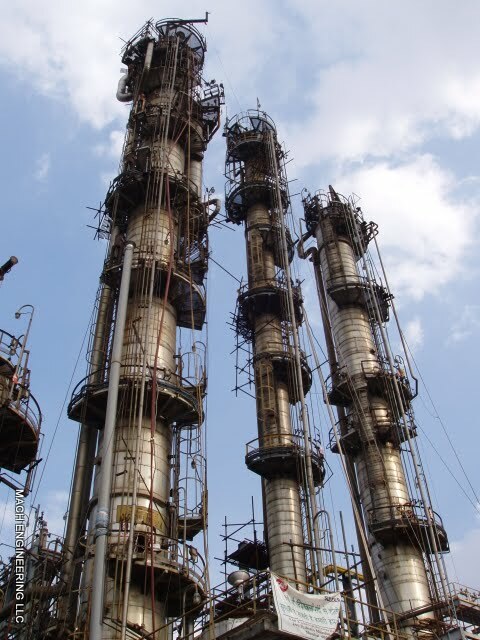 Our products include Fume Scrubbers, Air Strippers, Distillation Towers, Tower Packing, Internals and various Fiberglass structures.